Cathy Fischer started her volunteer service to Canine Companions more than 14 years ago and the scope of her influence has impacted almost every facet of the organization. 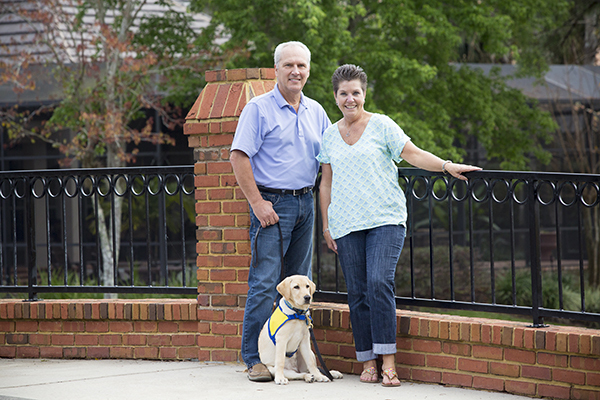 Fischer, a 9-time volunteer puppy raiser, also served as the board president for the Southeast Region of Canine Companions and has been a long-time member of the planning committee for the Tales & Tails Gala, Canine Companions’ largest fundraising gala event. “It was an honor to receive this award but knowing the impact I am making for someone else is the best possible reward I can receive,” said Fischer. “I am fortunate to be a small part of what this amazing organization can do for others. I can’t think of a better or more rewarding way to give back,” she said. Fischer, the senior vice president of global merchandise for Universal Parks & Resorts, also offers her skills and knowledge in the retail industry to help develop new retail items and coordinates retails sales at special events. In addition, she has been instrumental in developing partnerships for Canine Companions with the Universal Orlando Foundation and with other vendors who have helped the organization save more than $100,000 in program costs. "What Cathy gives back to our organization is priceless. 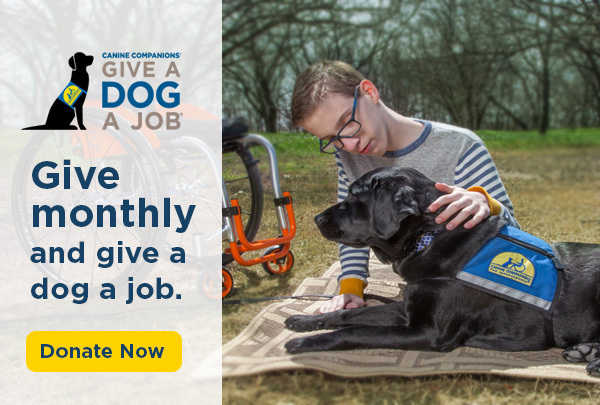 Because of Cathy, people with disabilities are experiencing life-changing partnerships with their Canine Companions assistance dog and have hope for greater independence,” said Paige Mazzoni, Canine Companions CEO. John Miller, the chairman of the board for Canine Companions, presented the award to Fischer at the Tales & Tails Gala in Orlando, FL. Photo caption: Cathy and her husband Marty pose with Brimley, one of the puppies they have raised for Canine Companions.